Keep your keys, wallet, and phone secure while you ride. Attaches to the top tube, handlebar, or the back of your saddle. Grommet on the back makes for easy headphone access. Made of durable 16oz treated canvas, oilskin leather, and solid brass snaps. Très chic, on or off the bike. 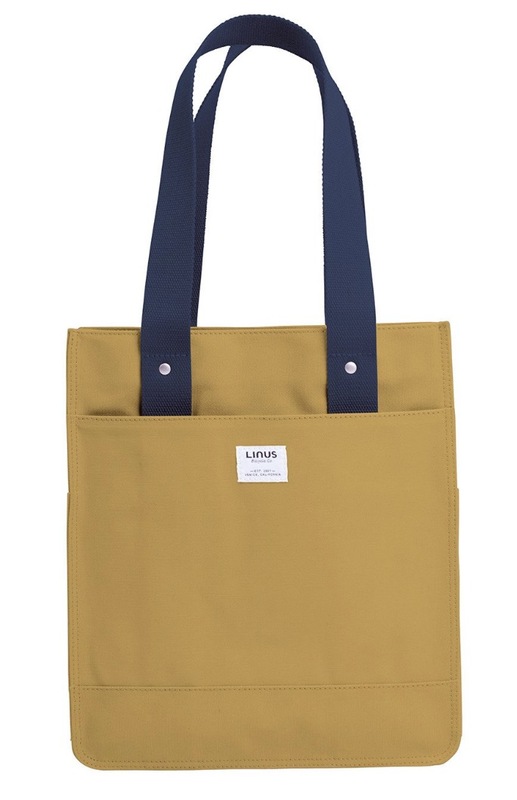 Elegant yet understated in durable coated 16oz canvas, with a sturdy leather bottom and handles. Covered hooks allow for easy attachment to rear racks. Pack a picnic into this spacious, versatile tote. Nylon flap with zippered pocket secures your items safely inside. 3 exterior pockets can carry your lock, water bottle, and more. Rubber-coated hooks allow for easy attachment to rear racks.